Germany’s biggest design event is just around the Corner – the Munich Creative Business Week (MCBW). More than 120 partners, among them UID, will once more attract thousands of creative minds to the Bavarian capital in 2019. 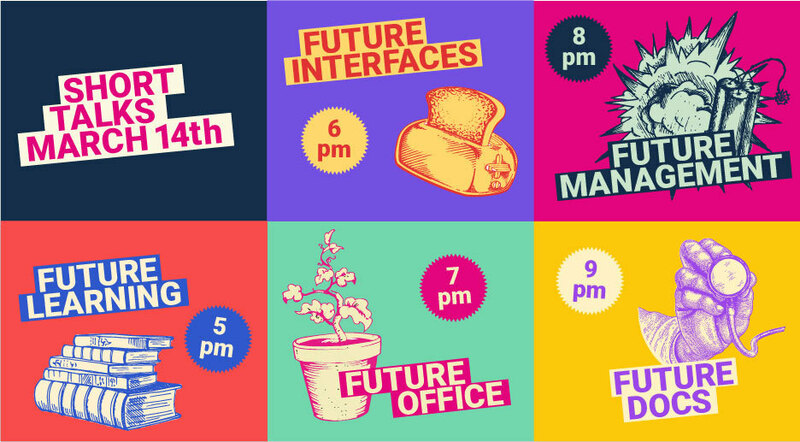 We have already worked out a varied and exciting program under the motto of “Future Technologies” for you: Come and discover our three cool events at our Munich studio on March 13 and 14. 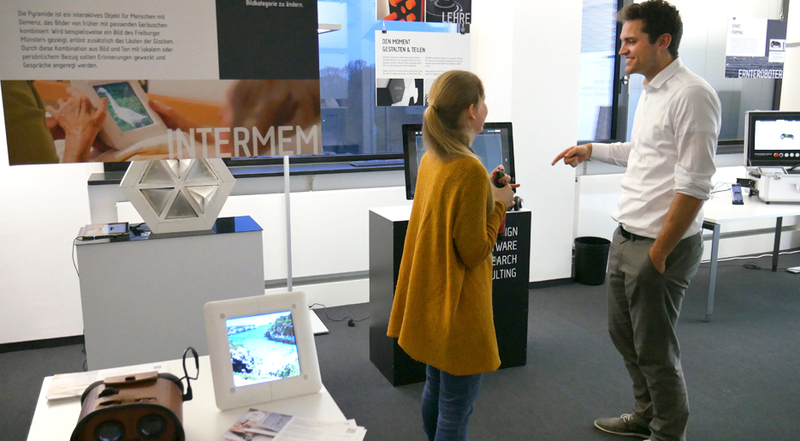 Augmented reality (AR), artificial intelligence (AI) and the Internet of Things (IoT) – our exhibition brings future technologies to life and provides insights into our work and our research projects. We will present customer projects that combine cutting-edge technologies and appealing design, complemented by the results from our research projects and hackathons: Watch how we teach children to cook using AR. AI and IoT turn our office into a green feel-good place. And a storytelling tool revives long-forgotten memories of people with dementia. Come and join our trip into the future and discover many more exciting and inspiring show cases: Explore our open lab on your own or participate in one of our guided tours that take place every half hour between 4:30 pm and 8:30 pm. Developing a robot usually takes months or even years – not with us! In our workshop, you can build your own little crawl bot in just a few hours: With the help of Arduino and a simple AI algorithm (reinforcement learning) it learns to move, continuously improving its movements. And in the end, you can even take your robot home. Surely, you don’t want to miss that! Come and secure yourself one of the limited spaces by signing up at pressekontakt@uid.com! Bring yourself up to date! Do you think that learning is boring? Nonsense! Henrik will show you how the KoBeLu learning table makes trainings in the manufacturing industry fun using AR, chatbots and gamification. What have been the developments affecting user interfaces (UI) up to now and what will influence UI designers in future? Henrik will discuss UIs from today’s and tomorrow’s perspective. An office that provides us with everything we need, interacts with us and our visitors and simply makes work more fun? Martina and Andreas will report on our 2-day coding camp in which we have brought our vision of a smart green office to life. Simply hiring designers doesn’t automatically guarantee more UX! Jan will discuss the prerequisites for establishing successful UX design and explain why this sometimes even requires being destructive. What will the future hold for surgery? Dominik will present HoloMed – an AR application that supports and safely guides surgeons during brain operations. We are excited to share two awesome days with numerous creative minds, partners and interested visitors. March 13 & 14, 2019 | Open Lab | 4 to 9 pm: Discover the exhibition yourself or participate in our half-hourly guided tours that take place between 4:30 pm and 8:30 pm! 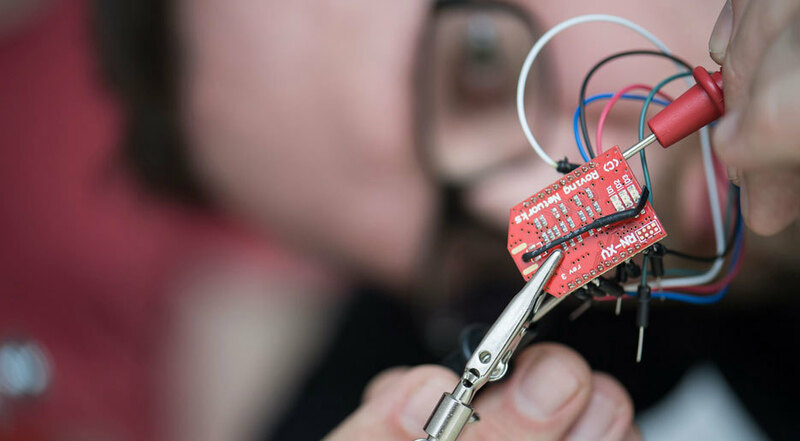 March 13, 2019 | Workshop | 5 to 8 pm: Become active and build your very own crawl bot! Simply sign up for free at pressekontakt@uid.com! March 14, 2019 | Short Talks | 5 to 10 pm: Come join us, discuss with us and bring yourself up to date! UID News: sMArt Office – UID Mannheim goes smart and green!